And for all your glorification of the insular and self-aggrandizing indie-literature circuit, you have no minds of comparable skill or prestige, and will not for years and years if ever. That hits me where it hurts. We don't have writers like that. I'm far more optimistic than Groffin about our prospects, but the road to greatness is long and hard, and we don't get there just by saying we're getting there. Reading Groffin's and Lucas' words, I am reminded of the literary scene of my own country. Last year I wrote at length about why SingLit disappoints me, and there has been no change since. When I think SingLit, I think of an insular community calling on all Singaporeans to buy singlit because we must support local talent and other such inane reasons. Newspapers and industry leaders partner to promote SingLit, praising the latest SingLit book to the heavens, and whenever #BuySingLit and the Singapore Writers Festival rolls around the marketing machine goes into full swing. I don't see anyone trying to improve things. There's no sense of self-reflection or internal criticism. I'm the only person I know who consistently critiques celebrated SingLit works. No one else is out there discussing what makes a SingLit story work -- or fails. There is no learning from each other, only hobbyists puffing up each other when someone publishes a book or wins some SingLit award. Book critics and SingLit writers may say the scene is growing -- and it is, insofar as there are more stories published every year -- but quantity isn't everything. The SingLit community can throw out all the hashtags they want, but given that I, a single man, can and have co-opted #SingLit and #BuySingLit on social media through nothing more than linking to my Steemit posts, it tells me that the SingLit community isn't interested in engaging a wider audience. As Groffin would say, there are no minds of skill and prestige comparable to the greats I have read. The only Singaporean writer I can recommend is @t2tang, who has published no novels and isn't even living in Singapore at present. Be it in SingLit or PulpRev, there's still no one I know who can match Poul Anderson, Leigh Beckett, or Edgar Rice Burroughs. There is nothing left to lose. Entertainment is dying. Art is dying. The past has been discarded, the present is a toilet bowl, and the future is as uncertain as ever. You can either wallow and cry, or you can get up and slay the wizard before you. We are revolutionaries. Our mission is to slay the wizard and usher in a new Golden Age, a Pulp Age. But if all we do is sit around, snark at our critics, and mindlessly pump each other's stories, we're not slaying the wizard and we're not building the New Pulp Age. We're just devolving into a self-congratulatory lovefest. I've heard arguments that SingLit is what it is because it is a young community. Singapore is a new nation--many elders are older than the country--and Singapore literature only took off post-independence in 1965. I've seen arguments to the effect that SingLit is still in the phase of finding itself. The Pulp Revolution is even younger: the movement began in 2016 with PulpRev-aligned writers taking up the pen, the main site isn't even a year old, and the Discord is newer still. With such a pedigree, it's natural to say that we won't find world-shaking talent at this time, both in SingLit and in PulpRev. All that means is that PulpRev has room to grow. We cannot, must not, sit on our rear ends and declare an unearned victory. Every day, we must work for what we want: to sharpen our skills, build a New Pulp Age, and most of all, GET PAID. Relative to other PulpRev writers, I've accomplished much I've been nominated for the Hugo and Dragon Awards. In reviews I've been favourably compared to Tom Clancy, Larry Correia and Orson Scott Card. Not that this means much. The Hugo Awards have been fatally compromised by the social justice set, and being nominated for the Dragon Awards is not the same as a win. And while it's certainly pleasing to be compared to the greats, I know there's so much more I can improve upon. Clancy and Correia inspired my works, but I'm nowhere near their level of skill, and Card has been writing longer than I've been alive; next to him the sum of my canon is but the scribblings of a dilettante. I call myself, half-jokingly, the Herald of the Pulp Revolution and Warboss of SteemPulp. All that means is that, by the whimsies of the fates, I found myself the first PulpRev writer on Steemit. These titles are just so much puff. When it boils down to it, I know that I'm not where I want to be. But every day I'm working towards it, and I'm ready to help any PulpRev writer willing to do the same. SingLit is caught in a mire of stagnation. The Pulp Revolution cannot afford that. Constant forward momentum, always, or we will die on the vine. The steady decline of TradPub and the rise of indie publishing and small presses presents us with a once-in-a-lifetime shot to grab the reigns of popular culture, steer it away from the disgusting and the depressing, and to lead humanity into a brighter age of beauty and virtue. 1. Study the Greats. We can't call ourselves a Pulp Revolution if we don't know the pulps, what inspired the pulps, and the tricks of the trade. We must read, voraciously, everything from the classic pulp stories to the Bible to poetry to other writers renowned for their mastery of the craft. We must study what made them great, absorb the tricks of the trade and claim them for our own, and apply the wisdom of the masters to the current age. If we aren't growing, we are dying. 2. Always Be Writing. Revolutions have a depressing history of failure. They are great at tearing down the old regime--but after that, what then? The October Revolution ushered in the Soviet Union, the French Revolution led to the French Terror, the Saur Revolution brought 40 years of civil war to Afghanistan. For this revolution to succeed, we can't simply tear down our opponents. We must build. We must write. The way to success lies not in a torrent of sharply-worded blog posts, but in replacing the doyens and the gatekeepers of a decaying age. The only way to do that is to write better stories, and to keep writing. if we aren't writing, there is no Pulp Revolution. 3. No Dogma. There is no One True PulpRev Community, no Holy Book of PulpRev, no One Way of Writing PulpRev. We must keep it that way. When SingLit became all about Singaporeans writing about Singapore for Singaporeans and nothing more, it sank into a swamp that it is only now beginning to rise out of (maybe). There are as many ways to write pulp stories as there are writers, and there should be no limitations on how to write pulp. 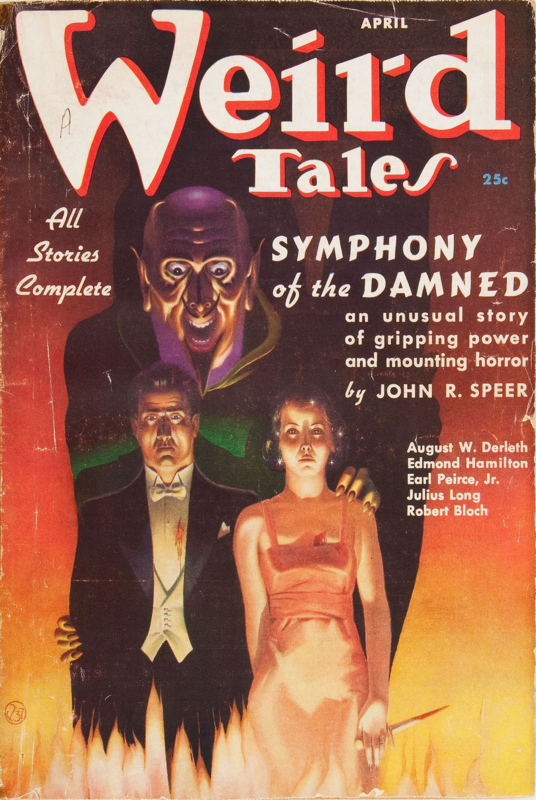 Indeed, what made the pulps great was its celebration of the imagination and the flamboyant disregard of what we today would consider genre conventions. There is enough room in the world to celebrate the distinct visions and the styles of a hundred, a thousand, a million pulp writers. 4. Keep the PulpRev Flame Alive. PulpRev has to stand for something. Any random person can slap on #PulpRev to a story but that doesn't make a story #PulpRev. We are here to revive the spirit of an age. To produce high-energy tales of awe and wonder and glory, of dashing heroes and terrible villains. We must remain committed to what makes us PulpRev. This is the heart of the movement, without which there is no movement. 5. Learn From Each Other. This is probably the hardest to do, but we must keep each other honest. This means honest critiques and frank discussions of stories, especially the ones we've written. If we don't produce quality works we are simply shouting into the wind. To succeed, PulpRev must be a mark of quality, a school of thought that champions fine storytelling, and to get there we have to be able to give and take criticism, as friends and as pros. We are the Pulp Revolution. We are not mere destroyers and corruptors and mockers and subverters. People like that have dominated the field for generations, and the result is degeneracy and garbage and anti-entertainment. We must be more than that. We are artists and builders and writers and creators. We are here to build a new age, and to build a new age we must be ready to walk the talk and do the dirty and difficult business of creating a culture that will last the ages. We are the Pulp Revolution, and the Revolution must continue. My latest story was written in the pulp tradition, a mishmash of military science fiction, fantasy, espionage, martial arts and so many other tropes. Check out HAMMER OF THE WITCHES here. Number 5 is the most important one. That's why I try to tell writers what I like and don't like about their work - constructive criticism, not depressing negativity or blind hero worship. 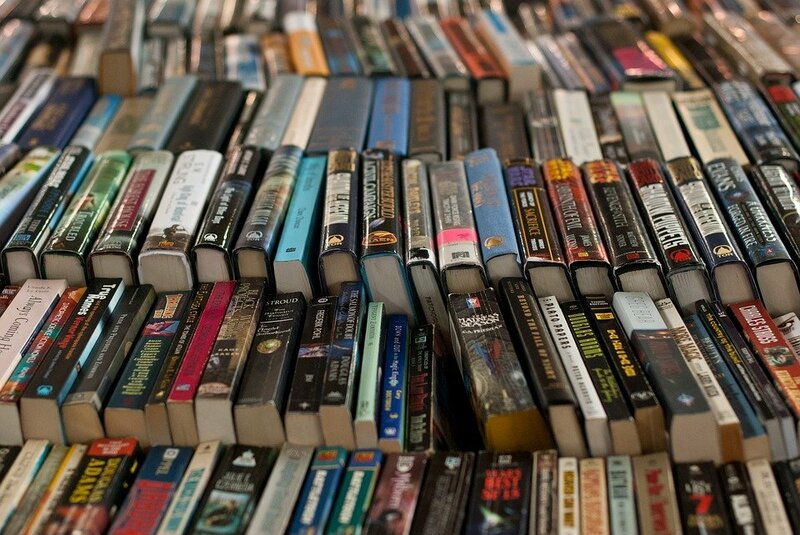 When it comes to fiction, More Is Less. When I read a story that is too short, and this true of a lot of PulpRev and associated stories, I can't take it in and I don't get a feel for the world, the characters or the plot. There is an optimal length where the detail complements the plot. The greats like REH and ERB manage to get in detail alongside action and character development, so it isn't something separate and intrusive, as happens in too many dull stories.